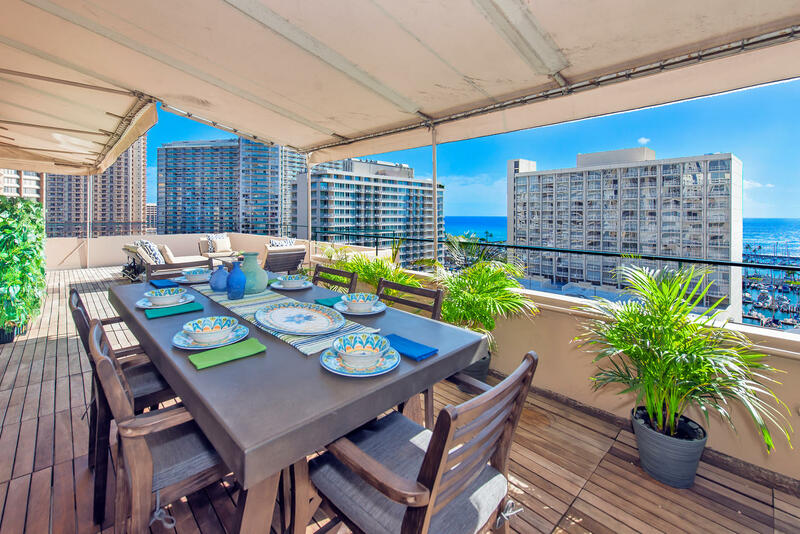 This spectacular condo is truly unique, there is nothing like it in Waikiki. The home features an almost 1000-square foot-lanai overlooking the blue-green ocean and Yacht Harbor. 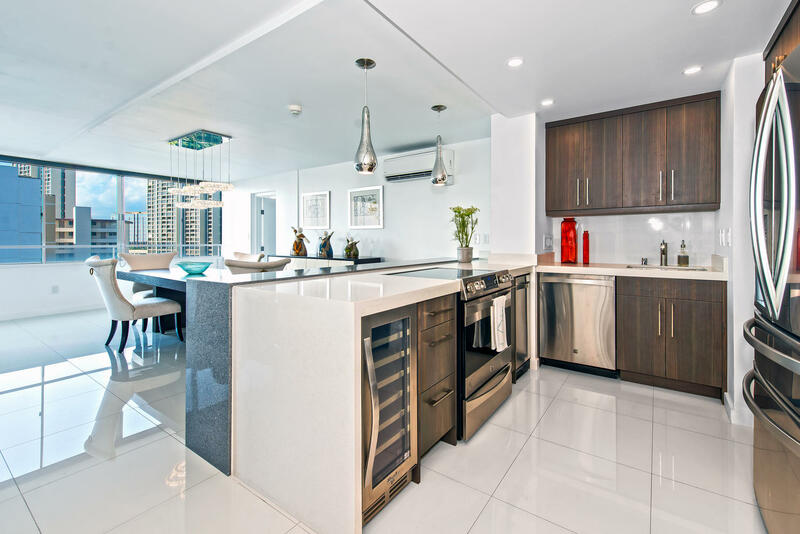 The home has three bedrooms and two bathrooms with cean views from nearly every room. See the boats in the harbor, waves cresting offshore, and stunning sunsets as you settle in to the mystical city lights shimmering on the water from dusk until night. 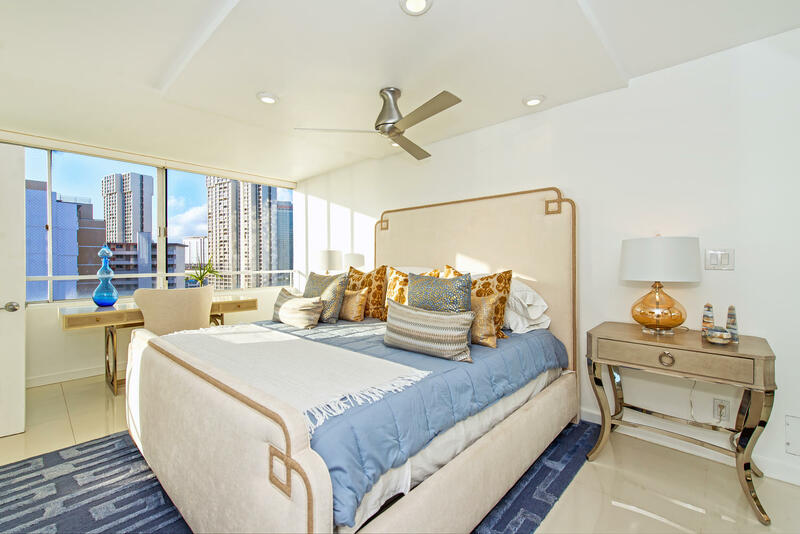 Next door to Ala Moana Shopping Center, Ala Moana Beach Park, the building offers easy access to restaurants and the best of Waikiki. The unit was remodeled in 2016-2017, and has split AC in every room. The owner leases a parking stall which can be transferred to the new owner. All utilities, property tax, and lease rents are included in the maintenance fee. 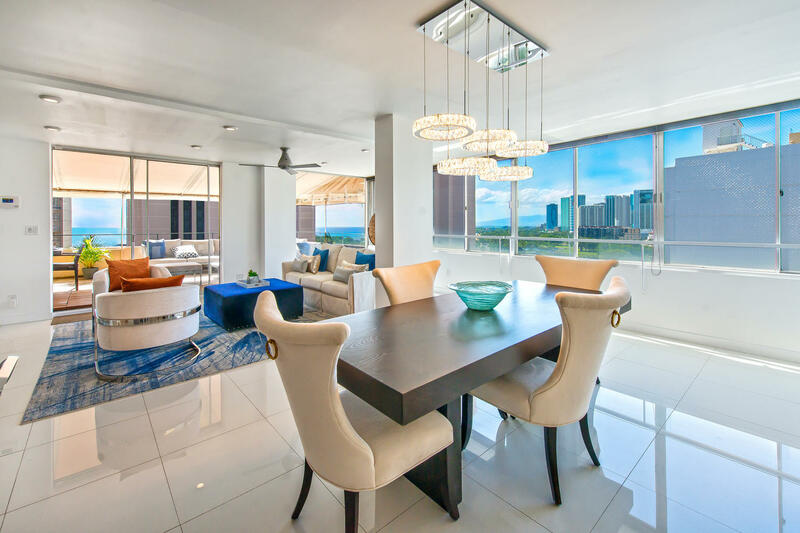 This home is listed for $999,999 with Locations Hawaii, an affiliate of Luxury Portfolio International.